I imagine I’m the same as everybody else reading this. With Christmas on the way, I’m always on the look-out for the very best deal. But sometimes, what looks like the best deal can bring the worst consequences. It's always important to remember the risks of buying fake goods. Especially as counterfeit items can bring more than disappointment. As part of the IPO's 'Buy Real' campaign, we've created a brand new series of video clips. 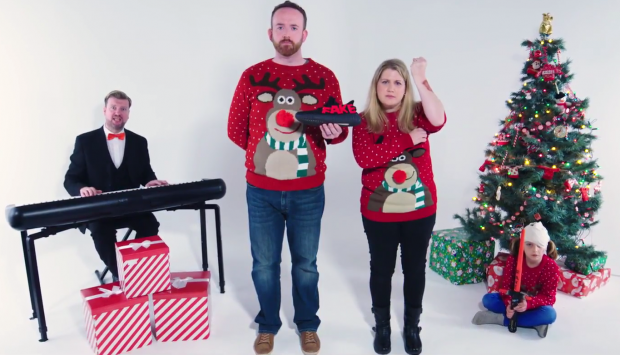 The series takes a light-hearted look at the serious issue of fake gifts and how they can ruin your Christmas. We are releasing a new video every day for 12 days, available to watch on our YouTube channel. Produced by the IPO in association with Red Beetle Films, the '12 Fake Days of Christmas' features lyrics by Wayne Beecham. Wayne shot to fame earlier in the year when his Best Best Man's Speech went viral and was featured by BBC News. The series of 12 clips also uses the talents of Lizzie Rogan, Aled Herbert and Matilda Saunders as the daughter. Directed by Sam Higgins, the story centres on an unlucky couple who have bought a number of fake goods for each other. The consequences of buying the fakes range from embarrassing to painful. Although the video has a comical side to it, there's a serious underlying theme to the 12 clips. Fraudsters sell fake goods using the intellectual property (IP) of legitimate businesses, to make a profit. They don't care about meeting safety standards and they certainly don’t care about ruining your Christmas. You may have purchased fake goods because the sale price was too good to ignore or you believed you were buying the real deal. To counteract this, we offer advice on how to spot fake goods and recognising IP crime and infringement. The annual IP crime and enforcement report for 2016-17 highlights over 2 million suspected infringing items were detained at the UK external border. In one operation, over 80,000 items worth £3.6m in potential sales were prevented from reaching the marketplace. Last Christmas, a BBC report highlighted some of the items seized by the UK Border Force which included fake Harry Potter wands, Nike trainers and PlayStation controllers. The risks can range from the shock you get when others point out you’re wearing rip-off Nike daps, to the real danger of electric shock posed by dud electrical items. 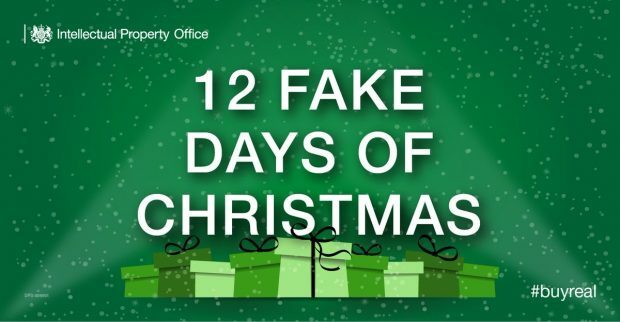 As Wayne describes in our 12 Fake Days of Christmas videos, from risky whiskey to a rash from knock-off jewellery, it’s always best to buy real. This Christmas, I know I’ll be sticking to reputable traders offering legitimate deals. The alternative isn’t worth the hassle or the risk.